HomeArticlesRelevance of narrating traditions in the present times. The period after the martyrdom of the Holy Prophet (s.a.w.a.) saw an era when narration of traditions was prohibited by the usurpers of caliphate. They feared that the words of the Ahle Bait(a.s.) will attract the people to the rightful successors and expose the usurpers of this divine position. Thus, on one hand, they stopped the common people from narrating traditions and on the other hand reserved the right of narrating traditions only to those who would benefit them politically. The right to narrate and interpret traditions being limited only to a few is thus not a new phenomenon but is as old as the martyrdom of Hazrat Mohsin Ibn Ali Ibn Abi Talib (a.s.). Had technology advanced then like that of the present age, the enemies of Ahle Bait (a.s.) would have definitely prohibited the sharing of traditions via email, mobiles and social networking sites. Hence, today if a group puts forward a case for a similar type of prohibition it becomes very easy for the believers to understand who their role models were especially when this same group also prohibits cursing the killers of Janabe Mohsin (a.s.). The similarities are evident for all and sundry and the believers are able to see through the mask of religiousness which such people wear just like their predecessors. •	Since there are differences between traditions and Shias do not believe all traditions to be correct, Shias should not narrate traditions even with their references, even if they are authentic. •	To get benefit of the traditions we should not refer to them directly but through the scholars; we must refer to their rulings in all cases since they are experts in distinguishing the correct traditions from the fabricated ones. Zahabi, a known Sunni scholar, relates that after Abu Bakr took over the leadership of the government, he gathered the Muslims and the companions of the Holy Prophet (s.a.w.a.) saying: “You relate the Prophet’s traditions and certainly you disagree on certain points with one another. In the future, you will find more points of disagreement. It is certain that after you, the masses will have even more differences of opinion. As such, you should relate nothing from the Prophet (s.a.w.a.). If anyone asks you about this issue, say that the Quran is among us, and to see its allowances as lawful and its prohibitions as unlawful”. The similarity of the two approaches is clear to the wisdom of the intelligent readers. 2. The Shias consider only the 14 infallible guides (a.s.) as divine proofs, flawless and pure from all impurities. Hence, like the Holy Quran, one cannot find any contradictions in their approach. If at all any apparent difference is observed, it is attributed to the differing requirement of their times. All Shias are unanimous in the belief that had one of our Imams (a.s.) been present at the time of another Imam (a.s.), he would have defended the religion of Islam in the same way as the other Imam did. That is, if the situation prevailing at the time of Imam Hasan (a.s.) would have occurred at the time of Imam Husain (a.s.), then Imam Husain (a.s.) too would have entered into a peace treaty with Moaviyah Ibn Abi Sufyan like Imam Hasan (a.s.) did. It is due to this belief in infallibility that the Shias claim similarity in approach of all infallible Imams (a.s.). Shias do not consider companions, jurists and scholars as infallible however pious they may be. History has witnessed many close companions deviate from the right path. Among the scholars, Shalmaghaani is notorious for deviating in his desire to become a representative of Imam Mahdi (a.t.f.s.) in the minor occultation. The misguidance of a personality who was expected by some to be appointed directly as the second in command to none other than Imam Mahdi (a.t.f.s.) is a grim reminder and also a warning to Shias in the major occultation. Our great and pious scholars also have never claimed any position of infallibility for themselves. That is why we do find differences among them in the practical laws of Islam. 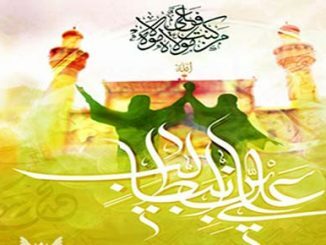 But on the basis of traditions from the Holy Ahlul Bait (a.s.) and on their command, we follow the instructions of the pious jurists in the period of Occultation of Imam Mahdi (a.t.f.s.) and follow them in the matters of day to day practical laws (Furoo’-e-Deen), notwithstanding the presence of differences among them. All our scholars also limit this emulation only to the practical daily laws where it is difficult for the common Shias to themselves refer to detailed traditions and derive the laws themselves. However, when it comes to the principles of faith (Usul-e-Deen), all our scholars correctly refuse to take responsibility and prohibit Taqlid in clear terms. If we refer to the books of practical laws (Resaalah al-Amaliyyah or Tauzeeh al-Masaael) of all our great scholars, we find this prohibition of Taqlid in matters of faith to be the very first law given by them. •	It is necessary for a Muslim to believe in the fundamentals of faith with his own insight and understanding, and he cannot follow anyone in this respect i.e. he cannot accept the word of another who knows, simply because he has said it. However, one who has faith in the true tenets of Islam, and manifests it by his deeds, is a Muslim and believer, even if he is not very profound, and the laws related to a Muslim will hold good for him. •	It is necessary for every Muslim to believe in the fundamentals of faith with his own reason or proof and understanding, and one can never rely on other’s views in this matter, i.e. it is not permissible to accept the word of another without having some proof or reason. Also there are matters of general ethical teachings where referring directly to traditions has not been prohibited by any Shia scholar. Understandably in detailed practical laws due to the difficulties involved and also due to the fact that individuals in a society have many differing roles to play and every one cannot become a specialist in deriving laws, Taqlid is a practical method suggested by our Imams(a.s.). Now, if in matters other than the practical laws, if narration of traditions is prohibited, then in matters of the principles of faith as well as in ethical matters, there will remain no source for the common Shias to reason. In fact, in the matter of principles of faith, the common Shias will have all options closed as scholars have prohibited Taqlid in matters of faith and some over enthusiastic pseudo-scholars have put a blanket ban on referring to traditions!! Perhaps, these pseudo-scholars want Shias to refer to followers of other religions in matters of Tauhid, Adl, Nabuwwat, Imamat and Qiyamat!!! It is nobody’s case that all traditions found in the books are absolutely reliable and authentic. Moreover, differences do exist in traditions. The reason for these differences is the fact that we are not hearing from our Imams (a.s.) directly but some fallible narrators are in between us and our Imams (a.s.). However, our Imams have never prohibited the narration of traditions even while acknowledging the traditions. We have to choose whether in the issue of there being differences in traditions we will follow the advice of Imam Sadiq(a.s.) or anyone else. •	Differences being an excuse to avoid narrating traditions was first put forward by none other than the person whose salutation Janabe Zahra (s.a.) refused to reply. We have to be careful not to follow the methods of the enemies of Janabe Zahra (s.a.). •	In matters of daily practical laws where it becomes difficult for us to refer directly to the traditions of the Holy Ahlul Bait(a.s.) it is necessary for all of us to refer to the rulings of our pious scholars. •	In other matters of principles of faith where our scholars have prohibited us from following them and in other social and ethical matters we should continue to refer to the traditions of the Ahlul Bait(a.s.) and form our opinions on the basis of their teachings. In case we come across any tradition which we cannot understand or in which we find difference we should ask our scholars to explain the same to us in the absence of Imam e Zamana(a.t.f.s.). Is companionship a good enough reason to claim caliphate?